The impossible question has many answers. More important than finding out how to quit smoking forever will be figuring out which answer will actually work for you. People are all different, and their needs concerning quitting smoking methods will also change depending on personality, lifestyle, and their reasons for starting and wanting to quit smoking. Before you decide how you will quit smoking forever, consider the ways that are the hardest. Cold turkey comes to mind, because it will involve the strongest withdrawal symptoms, both physically and psychologically. People who are going through nicotine withdrawal are cranky, sometimes have headaches, and can be desperate to smoke. The good news is that this only lasts for about three days, because nicotine leaves your system that quickly. The bad news is that smoking addictions aren’t all about nicotine. Do you smoke just because you have to to satiate your nicotine craving? Do you love smoking? Is inhaling warm smoke into your lungs comforting? Do you hate yourself because you can’t quit? Depending on the answers to these questions, different methods for how to quit smoking forever will work better or worse. If you smoke because you love to take little breaks throughout the day, things like nicotine patches and nicotine gum will probably not work for you. Most smokers are actually more psychologically addicted to smoking than they are physically addicted. Getting a nicotine fix may not be enough. For people who believe they would be okay as long as they had an alternative, nicotine delivery systems may be just fine. The best of both worlds are electronic cigarettes, which deliver nicotine without the tar and chemicals, but still give you the sense of inhaling something warm and comforting into your lungs. Then again, if you really want to get off nicotine altogether and beat your smoking addiction, you may need to take the slow and steady route. You can quit by slowly reducing the number of cigarettes you smoke every day. But you’ve got to make a plan or have a system in place. Consider finding ways to reward yourself for waiting longer and longer each morning before having your first cigarette of the day. Track your smoking carefully so you really know exactly how many you smoke each day, and then set goals for cutting back. Many quitting smoking methods work for people temporarily, but then they smoker finds it easy to slip back into the habit. Some people say that to really do it you’ve got to be serious and set up a plan and goals. Others say you need help from something like electronic cigarettes or nicotine patches. And some smokers say the best way to do it is to join an addiction group aimed at supporting the life change that you are making. You know smoking is bad for you and you’re wondering how to quit smoking forever. Start by looking at yourself and what it is that makes smoking so attractive to you. 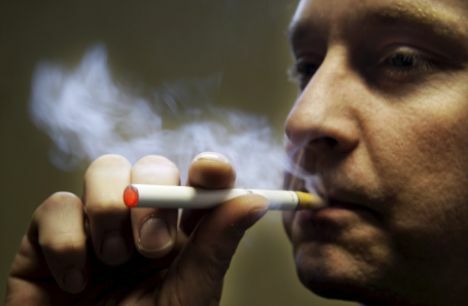 Do Electronic Cigarettes Really Give People the Courage to Quit Smoking? There are a lot of debates going on in anti-smoking circles, where people are trying to discuss ways to quit smoking for the smokers, and how nonsmokers can help out. However, when the topic comes to electronic cigarettes, it can seem like it’s an outright war. Nonsmokers feel that electronic cigarettes are just as bad as their nicotine traditional counterparts. Do we agree? Well, it just depends. First and foremost, you’re going to have to realize that if you want to quit smoking for the long term, no tool can be off limits. If it helps you to actually dig in and use electronic cigarettes to help you get off the nicotine without replacing the mechanical feel of a cigarette in your mouth, then you’re going to want to naturally do that. The last thing that you really want to do is find yourself not using tools because you don’t think that they will work. It’s better to try every solution that you can think about before you just say whether or not something is going to work. It’s in your best interest to think about the things that will actually lead to stronger benefits, rather than just assuming there’s no way to help yourself out. Life is full of choices, and it’s the choices that we make that really make all of the difference. The electronic cigarette movement is strong because a lot of people are realizing that you can get more done by following the electronic cigarette protocol than if you were to just assume that there’s no way out of the cycle of smoking. There is always a way out if you really think about it — why wouldn’t there be? Quitting smoking is quitting an addiction that robs you of your health and well being, and that’s not right at all. Can E-Cigarettes Really Help You Stop Smoking? If your goal this year is to quit smoking, then you will want to make sure that you build a strategy that truly works for you. One strategy that a lot of people think about going into would have to be e-cigarettes, but some people are still undecided on them. You see, they’re not really sure whether or not e-cigarettes can really help you stop smoking. It’s hard to believe that such a little thing could lead to you eventually quitting cigarettes altogether. However, what makes e-cigarettes powerful is that they don’t actually cause fires. They don’t leave behind ash, and they don’t even leave behind smoke! This means that you can take your e-cigarette on the go with you, knowing that what you’re getting is the feeling of smoking without all of the side effects and problems. You can rely on the lower nicotine level to slowly walk away from cigarettes altogether. You’ll also experience better breath because you aren’t going to be breathing in that nasty smoke and leaving behind awful breath. This will make you more pleasant to be around. As you experience more positive feedback because you aren’t smoking, you’ll be able to get away from cigarettes. There is also something to be said about the cost of the e-cigarette revolution. It’s a lot cheaper over the long term to go with the electronic option than it would be for you to just rely on those regular cigarettes that you get from the store. People everywhere are starting to crack down on regular cigarettes, leaving the average smoker with little option than to either quit cold turkey or go electronic. Going electronic is a lot easier on your body than it would be to quit cold turkey. Can you really handle that type of shock to your body? Now, you might wonder where you can get the e-cigarettes if you can’t find them locally. You will need to go online. The power of the internet is really what’s driving the e-cig revolution, with plenty of retailers offering specials. If you know that you want to commit to this new way of smoking, you will need to go with a starter pack. This is what’s really going to give you the best type of value as well as the best type of variety! Variety? Yes, it’s true: you will have your choice of a few different flavors, which means that you won’t have to just settle for boring old smoke. Even though it’s true that going electronic means going smokeless, you’ll still get a bit of vapor as you smoke. This means that it’s not only a cheaper experience in the long run to go electronic; it’s also more pleasant to the senses. No longer will you and your loved ones have to deal with smoky, smelly clothes or rooms. Overall, can e-cigarettes really hold the key to stopping smoking? Perhaps not all at once, but over time… the answer is definitely yes! Why not get your e-cigarette starter pack today? What is an electronic cigarette? The electronic cigarette provides a healthy alternative to smoking. With all the flavour, sensation and touch of puffing on a real cigarette, smokers can benefit from the lack of smoke or health problems associated with smoking the real deal. To the untrained eye an electronic cigarette looks just like a real cigarette, perfect for blending in when out and about. What’s more, unlike regular cigarettes, electric cigarettes can be smoked indoors. This is because they don’t actually emit smoke, but instead an odourless water-like vapour, so smokers don’t have to worry about second hand smoke. Some e-cigarettes work in different ways but many are similar to a nebulizer. Made up of a cartridge, mouthpiece, vaporiser and battery, e-cigarettes work by converting a nicotine liquid into a mist like vapour which is then inhaled. Batteries are often rechargeable, plugging into the mains or charged straight from a computer via USB. The cartridge contains the nicotine (which can come in different strengths) and can even come in different flavours such as menthol and strawberry. Smokers can use electronic cigarettes to help replace the nicotine supply and the sensation of smoking – two of the more difficult cravings smokers find to ignore. Whilst patches and gum can replace the nicotine hits, often it’s the simple act of holding a cigarette and the feeling of inhaling that causes the biggest craving. Why would a smoker want to use them? Many smokers actually want to give up. They might enjoy it but there’s always that constant knowledge at the back of their mind that it’s unhealthy. Even if they don’t enjoy it like they perhaps used to, those pesky cravings just keep coming back. Stopping smoking is not only better for their health, but also better for those around them, with the added bonus of saving them money. Quitting is easier said than done, but there are many aids out there that can help. Some may find a combination of different aids is the best option but often a GP can offer the best advice on what might help. An electronic cigarette is something that they may suggest and something that many people find to be very useful and successful for them but everyone is different – what may work for one person might not necessarily work for another. As a relatively new phenomenon, there is little research on electric cigarettes and there have been some concerns about their safety. As an alternative to smoking and when compared to a regular cigarette, they are a healthier option as they do not have the tar and smoke and do not even have to have nicotine. The best thing to do if anyone is unsure is to speak to your GP who should be able to answer any questions you might have. So why not go and a get an electronic cigarette starter kit now and find a great way to still be able to smoke anywhere legally and more healthily. The popularity of electronic cigarettes has grown rapidly over the past few years. Originally marketed as a device to help smokers kick their habit, e-cigarettes are now widely used by avid smokers as a healthier alternative to traditional cigarettes. A recent survey that was performed by Wells Fargo bank showed that tobacco sales have significantly declined throughout the first quarter of 2013. Many experts believe that this fall in sales could be due to the increase of interest in the electronic cigarette market. While there are several factors that could decrease the sale of tobacco products, such as the current state of the economy, the rise in tobacco cigarette prices and the increase of cigarette taxes, many people involved in the tobacco industry are convinced that the recent decline in sales is due to the growing interest in electronic cigarettes. E-cigarettes were thought of as a novelty item up until a few years ago. Before they gained popularity, no serious smoker would ever dream of trading in their traditional cigarette for a rechargeable, electronic device. Many analysts predict that e-cigarettes will continue to grow in popularity and surpass traditional cigarette sales within the next ten years. While this may be considered a bold statement, since electronic cigarettes currently only make up around 1% of sales in the cigarette industry, many people believe that more smokers are interested in trying out this somewhat healthier option. One factor that has helped electronic cigarettes increase in sales over the past several months would be the industry’s marketing strategies. Top brands such as Blu and V2 cigarettes have many internet ads and television commercials featuring famous faces that have helped consumers identify with the products being sold. They also include special features that help them to stand out above the rest. If you are a smoker and would like to give electronic cigarettes a try, you should take the time to check out the customer reviews available online on some of the top e-cigarette brands. Reading feedback from other customers will help you figure out the pros and cons of electronic cigarettes and help you to determine which brand can provide you with the best value overall. Electronic cigarettes were originally marketed to smokers who wanted to quit using tobacco products. They were to be used like a nicotine patch to allow the individual to slowly become less dependent on nicotine. However, today the electronic cigarette is used by those who continue to smoke on a daily basis and have no desire of quitting. E-cigarettes offer many benefits to smokers. They help them to save money over time since the cartridges can be recharged. They also allow a person to smoke without releasing smoke that could be harmful to others and they do not produce any type of offensive odor. It may take some time before e-cigarettes outsell traditional tobacco products, but if you take a moment to find out more about the top selling brands, you will understand why so many people are making the switch.